What if a killer took control of you? Vee Bell’s gift (or curse) of “sliding”—slipping into the mind of another person and experiencing life, briefly, through his or her eyes—has been somewhat under control since she unwillingly witnessed the horrific deaths of her classmates six months ago. But just as things are getting back to normal, Vee has a very bizarre experience: she loses consciousness and finds herself in a deserted area, at the edge of a cliff, with the broken body of the boy who took advantage of her on the rocks below. As Vee finds herself in stranger and stranger situations with no memory of getting there, she begins to suspect that someone she knows has the ability to slide—and that this “slider” is using Vee to exact revenge on his or her enemies. I have to say I really liked this book more than I liked the first one is series "Slide". I enjoyed Slide but this book has so much more to it. I started Impostor and finished it all in one day. In this novel the author introduces you to a few new characters. They become a good part in this story. She also mends broken friendships, start new relationships and reveal major secrets. At some point when the author introduces you to a certain new character, she had me confused as to believing the obvious or giving her the benefits of the doubt. That was what made this story interesting. And with all the odd things happening with Vee made it even more intriguing. Everything was fast paced. So you are not left with words just filling in the space. As the story progresses, revelations come into play and left me wondering what the next book in series would be about. I personally think it's going to be about Vee and her sister. This should make an interesting book. I like the ending though I feel bad that some things happened in the story and some people had to suffer really bad consequences. But this book revealed secrets that made them all a bit stronger. I'm looking forward to reading the next book in series. Looking forward to see what Vee and her new beau is up and looking forward to read about the rest of the family. 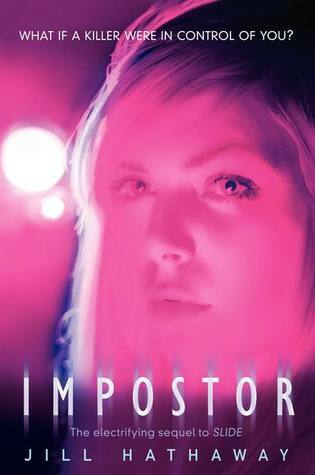 I give "Impostor" a 4 stars and a definite Good Choice for Reading. Sounds like a promising sequel! I've been eager to read this ever since finishing the first one! I really liked it much more than the first one. And it's romance in this one. Kudos! This sounds like it would be a great book to read. Thanks for the review. You're welcome, thank you for stopping by. Thanks for the review! i have read Slide and I didn't care for it too much, but this book sounds better! I actually enjoyed this book more than Slide.